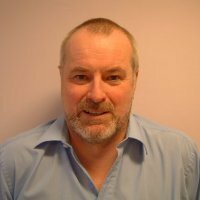 Malcolm McKechnie joined iFormulate as an Associate Partner in January 2014 following a 35 year career in research, operations, technology and product development which spanned the oil, beverage and FMCG sectors. Malcolm spent the last sixteen years of his career with Reckitt Benckiser in innovation and external technology sourcing roles covering the FMCG household, personal care and OTC pharmaceutical areas. There he developed a global network of contacts at universities, SME’s, global chemical companies, government institutions, and entrepreneurs. These networks were used to identify, access and jointly develop technologies into new product concepts or solve unmet consumer needs. He is an expert practitioner in Open Innovation, technology transfer across sectors and third party technology management and has presented on these topics in numerous forums. After a chemistry BSc. and PhD from Strathclyde University, Malcolm joined British Petroleum at its main research centre in London. Here he undertook basic scientific studies, pilot plant and demonstration projects and commissioning of off-shore process plant. Work covered crude oil dehydration, water and effluent treatment, advanced cleaners and environmental fate studies. He was also a key member of a new BP Ventures business developing advanced filtration and separation membranes. After BP, Malcolm joined Brewing Research International (BRi) as head of Process Innovation leading a team of chemical and biochemical engineers. A wide range of malting, brewing and beer stabilization/clarification projects were completed for the BRi’s membership often involving academic institutions, and blue chip global brewing companies. Malcolm also lectured BRi’s members on developing technologies and taught on training courses. At iFormulate Ltd Malcolm is looking forward to utilizing his very wide range of multi-sector knowledge, innovation practices, technology scouting/transfer, and research expertise on new assignments.